Moving companies that assist with personal and business relocations are experts in logistics. They make best use of their international network to assure you quality international relocation services. You may require additional services in addition to the relocation itself. They can assist with other related tasks including packing and storage! Using Intlmovers is a fast and cost free way of obtaining quotes from up to six international movers that can assist you with your international relocations. Once you have submitted your request, it is forwarded immediately to the international relocation companies so that they can contact you directly to arrange your customised quote. Make use of this site to find international relocation services, completely obligation free! Relocations can be complex and messy. When you have to arrange an international relocation, it can be easy to feel completely overwhelmed by everything that you need to do. 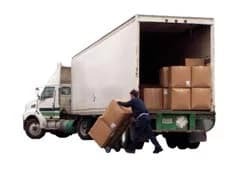 The relocation services on offer by the international relocation companies that list on Intlmovers is a sure way of avoiding many of the unwanted dramas. Value is a good way of looking at international relocation services. Do you or your family need additional relocation services such as packing and storage? Perhaps you need assistance finding housing for your arrival? Whatever your needs are, there are many types of related services that will influence the overall cost of your international move. The international moving companies that list on Intlmovers have many years of reliable experience in their specialised field of international relocation services. The positive feedback from clients is a testament to their professionalism and quality service.